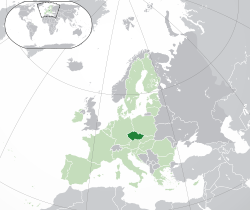 The Czech Republic ( /ˈtʃɛk -/ ( listen);  Czech: Česká republika [ˈtʃɛskaː ˈrɛpublɪka] ( listen)),  also known by its short-form name, Czechia  ( /ˈtʃɛkiə/ ( listen); Czech: Česko [ˈtʃɛsko] ( listen)), is a landlocked country in Central Europe bordered by Germany to the west, Austria to the south, Slovakia to the east and Poland to the northeast. The Czech Republic covers an area of 78,866 square kilometres (30,450 sq mi) with a mostly temperate continental climate and oceanic climate. It is a unitary parliamentary republic, with 10.6 million inhabitants; its capital and largest city is Prague, with 1.3 million residents. Other major cities are Brno, Ostrava, Olomouc and Pilsen. 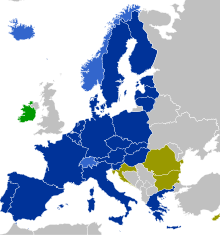 The Czech Republic is a member of the European Union (EU), NATO, the OECD, the United Nations, the OSCE, and the Council of Europe. Slavs from the Black Sea– Carpathian region settled in the area (a movement that was also stimulated by the onslaught of peoples from Siberia and Eastern Europe: Huns, Avars, Bulgars and Magyars). In the sixth century, they moved westwards into Bohemia, Moravia and some of present-day Austria and Germany. The political climate was highly repressive during the 1950s, including numerous show trials (the most famous victims: Milada Horáková and Rudolf Slánský) and hundreds of thousands of political prisoners, but became more open and tolerant in the late 1960s, culminating in Alexander Dubček's leadership in the 1968 Prague Spring, which tried to create " socialism with a human face" and perhaps even introduce political pluralism. This was forcibly ended by invasion by all Warsaw Pact member countries with the exception of Romania and Albania on 21 August 1968. Student Jan Palach became a symbol of resistance to the occupation, when he committed self-immolation as a political protest. The Czech landscape is exceedingly varied. 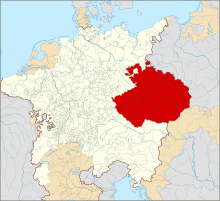 Bohemia, to the west, consists of a basin drained by the Elbe ( Czech: Labe) and the Vltava rivers, surrounded by mostly low mountains, such as the Krkonoše range of the Sudetes. The highest point in the country, Sněžka at 1,603 m (5,259 ft), is located here. Moravia, the eastern part of the country, is also quite hilly. It is drained mainly by the Morava River, but it also contains the source of the Oder River ( Czech: Odra). There are four national parks in the Czech Republic. The oldest is Krkonoše National Park ( Biosphere Reserve), and the others are Šumava National Park (Biosphere Reserve), Podyjí National Park, Bohemian Switzerland. The three historical lands of the Czech Republic (formerly the core countries of the Bohemian Crown) correspond almost perfectly with the river basins of the Elbe ( Czech: Labe) and the Vltava basin for Bohemia, the Morava one for Moravia, and the Oder river basin for Czech Silesia (in terms of the Czech territory). The Czech Republic ranks as the 27th most environmentally conscious country in the world in Environmental Performance Index. The Czech Republic has four National Parks ( Šumava National Park, Krkonoše National Park, České Švýcarsko National Park, Podyjí National Park) and 25 Protected Landscape Areas. Currently, as a member of NATO, the Czech military are participating in KFOR and ISAF (renamed to Resolute Support) operations and have soldiers in Afghanistan, Kosovo, Bosnia and Herzegovina, Somalia, Israel and Mali. 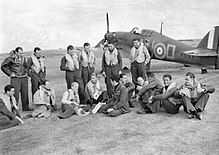 The Czech Air Force also served in the Baltic states and Iceland. Main equipment includes: multi-role fighters JAS 39 Gripen, combat aircraft Aero L-159 Alca, modernized attack helicopters Mi-35, armored vehicles Pandur II, OT-64, OT-90, BVP-2 and Czech modernized tanks T-72 ( T-72M4CZ). 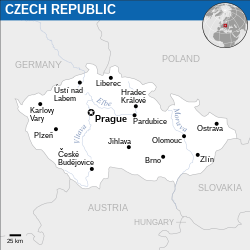 Since 2000, the Czech Republic has been divided into thirteen regions ( Czech: kraje, singular kraj) and the capital city of Prague. Every region has its own elected regional assembly (krajské zastupitelstvo) and hejtman (a regional governor). 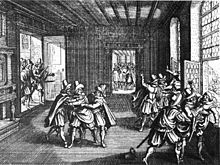 In Prague, the assembly and presidential powers are executed by the city council and the mayor. 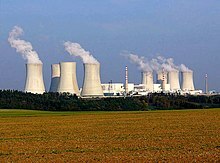 The Czech Republic is reducing its dependence on highly polluting low-grade brown coal as a source of energy. Natural gas is procured from Russian Gazprom, roughly three-fourths of domestic consumption and from Norwegian companies, which make up most of the remaining one-fourth. Russian gas is imported via Ukraine ( Druzhba pipeline), Norwegian gas is transported through Germany. Gas consumption (approx. 100 TWh in 2003–2005) is almost double electricity consumption. South Moravia has small oil and gas deposits. The Czech Republic ranks in the top 10 countries worldwide with the fastest average internet speed. By the beginning of 2008, there were over 800 mostly local WISPs,   with about 350,000 subscribers in 2007. Plans based on either GPRS, EDGE, UMTS or CDMA2000 are being offered by all three mobile phone operators ( T-Mobile, Telefónica O2, Vodafone) and internet provider U:fon. Government-owned Český Telecom slowed down broadband penetration. At the beginning of 2004, local-loop unbundling began and alternative operators started to offer ADSL and also SDSL. This and later privatisation of Český Telecom helped drive down prices. On 1 July 2006, Český Telecom was acquired by globalized company (Spain-owned) Telefónica group and adopted the new name Telefónica O2 Czech Republic. As of 2017 [update], VDSL and ADSL2+ are offered in many variants, with download speeds of up to 50 Mbit/s and upload speeds of up to 5 Mbit/s. Cable internet is gaining popularity with its higher download speeds ranging from 50 Mbit/s to 1 Gbit/s. Jan Hus (1369 – 1415) is a key figure of the Bohemian Reformation and inspired the pre- Protestant Hussite movement. Cyril and Methodius laid the foundations of education and the Czech theological thinking in the 9th century. Original theological and philosophical stream – Hussitism – originated in the Middle Ages. It was represented by Jan Hus, Jerome of Prague or Petr Chelčický. At the end of the Middle Ages, Jan Amos Comenius substantially contributed to the development of modern pedagogy. Jewish philosophy in the Czech lands was represented mainly by Judah Loew ben Bezalel (known for the legend of the Golem of Prague). Bernard Bolzano was the personality of German-speaking philosophy in the Czech lands. Bohuslav Balbín was a key Czech philosopher and historian of the Baroque era. He also started the struggle for rescuing the Czech language. This culminated in the Czech national revival in the first half of the 19th century. Linguistics ( Josef Dobrovský, Pavel Jozef Šafařík, Josef Jungmann), etnography ( Karel Jaromír Erben, František Ladislav Čelakovský) and history ( František Palacký) played a big role in revival. Palacký was the eminent personality. He wrote the first synthetic history of the Czech nation. He was also the first Czech modern politician and geopolitician (see also Austro-Slavism). He is often called "The Father of the Nation". The new Czechoslovak republic (1918–1938) wanted to develop sciences. Significant linguistic school was established in Prague – Prague Linguistic Circle ( Vilém Mathesius, Jan Mukařovský, René Wellek), moreover linguist Bedřich Hrozný deciphered the ancient Hittite language and linguist Julius Pokorny deepened knowledge about Celtic languages. Philosopher Herbert Feigl was a member of the Vienna Circle. Ladislav Klíma has developed a special version of Nietzschean philosophy. In the second half of the 20th century can be mentioned philosopher Ernest Gellner who is considered one of the leading theoreticians on the issue of nationalism. Also Czech historian Miroslav Hroch analyzed modern nationalism. Vilém Flusser developed the philosophy of technology and image. Marxist Karel Kosík was a major philosopher in the background of the Prague Spring 1968. Jan Patočka and Václav Havel were the main ideologists of the Charter 77. Egon Bondy was a major philosophical spokesman of the Czech underground in the 1970s and 1980s. Czech Egyptology has scored some successes, its main representative is Miroslav Verner. Czech psychologist Stanislav Grof developed a method of "Holotropic Breathwork". Experimental archaeologist Pavel Pavel made several attempts, they had to answer the question how ancient civilizations transported heavy weights. There are several centres of tourist activity. The spa towns, such as Karlovy Vary, Mariánské Lázně and Františkovy Lázně and Jáchymov, are particularly popular relaxing holiday destinations. [ citation needed] Architectural heritage is another object of interest to visitors – it includes many castles and châteaux from different historical epoques, namely Karlštejn Castle, Český Krumlov and the Lednice–Valtice area. Orbis Pictus, a revolutionary children's textbook with illustrations  published in 1658 by educator John Amos Comenius. Venus of Dolní Věstonice is the treasure of prehistoric art. Theodoric of Prague was the most famous Czech painter in the Gothic era. 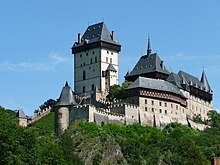 For example, he decorated the castle Karlstejn. In the Baroque era, the famous painters were Wenceslaus Hollar, Jan Kupecký, Karel Škréta, Anton Raphael Mengs or Petr Brandl, sculptors Matthias Braun and Ferdinand Brokoff. In the first half of the 19th century, Josef Mánes joined the romantic movement. In the second half of the 19th century had the main say the so-called "National Theatre generation": sculptor Josef Václav Myslbek and painters Mikoláš Aleš, Václav Brožík, Vojtěch Hynais or Julius Mařák. At the end of the century came a wave of Art Nouveau. Alfons Mucha became the main representative. He is today the most famous Czech painter. [ citation needed] He is mainly known for Art Nouveau posters and his cycle of 20 large canvases named the Slav Epic, which depicts the history of Czechs and other Slavs. As of 2012 [update], the Slav Epic can be seen in the Veletržní Palace of the National Gallery in Prague, which manages the largest collection of art in the Czech Republic. Max Švabinský was another important Art nouveau painter. The 20th century brought avant-garde revolution. In the Czech lands mainly expressionist and cubist: Josef Čapek, Emil Filla, Bohumil Kubišta, Jan Zrzavý. Surrealism emerged particularly in the work of Toyen, Josef Šíma and Karel Teige. In the world, however, he pushed mainly František Kupka, a pioneer of abstract painting. As illustrators and cartoonists in the first half of the 20th century gained fame Josef Lada, Zdeněk Burian or Emil Orlík. Art photography has become a new field ( František Drtikol, Josef Sudek, later Jan Saudek or Josef Koudelka). The earliest preserved stone buildings in Bohemia and Moravia date back to the time of the Christianization in the 9th and 10th century. Since the Middle Ages, the Czech lands have been using the same architectural styles as most of Western and Central Europe. The oldest still standing churches were built in the Romanesque style ( St. George's Basilica, St. Procopius Basilica in Třebíč). During the 13th century it was replaced by the Gothic style ( Charles Bridge, Bethlehem Chapel, Old New Synagogue, Sedlec Ossuary, Old Town Hall with Prague astronomical clock, Church of Our Lady before Týn). In the 14th century Emperor Charles IV invited to his court in Prague talented architects from France and Germany, Matthias of Arras and Peter Parler ( Karlštejn, St. Vitus Cathedral, St. Barbara's Church in Kutná Hora). During the Middle Ages, many fortified castles were built by the king and aristocracy, as well as many monasteries ( Strahov Monastery, Špilberk, Křivoklát Castle, Vyšší Brod Monastery). During the Hussite wars, many of them were damaged or destroyed. In the 17th century, the Baroque style spread throughout the Crown of Bohemia. Very outstanding are the architectural projects of the Czech nobleman and imperial generalissimo Albrecht von Wallenstein from the 1620s ( Wallenstein Palace). His architects Andrea Spezza and Giovanni Pieroni reflected the most recent Italian production and were very innovative at the same time. Czech Baroque architecture is considered to be a unique part of the European cultural heritage thanks to its extensiveness and extraordinariness ( Kroměříž Castle, Holy Trinity Column in Olomouc, St. Nicholas Church at Malá Strana, Karlova Koruna Chateau). In the first third of the 18th century the Bohemian lands were one of the leading artistic centers of the Baroque style. In Bohemia there was completed the development of the Radical Baroque style created in Italy by Francesco Borromini and Guarino Guarini in a very original way. Leading architects of the Bohemian Baroque were Jean-Baptiste Mathey, František Maxmilián Kaňka, Christoph Dientzenhofer, and his son Kilian Ignaz Dientzenhofer. During the 19th century, the revival architectural styles were very popular in the Bohemian monarchy. Many churches were restored to their presumed medieval appearance and there were constructed many new buildings in the Neo-Romanesque, Neo-Gothic and Neo-Renaissance styles ( National Theatre, Lednice–Valtice Cultural Landscape, Cathedral of St. Peter and Paul in Brno). At the turn of the 19th and 20th centuries the new art style appeared in the Czech lands – Art Nouveau. The best-known representatives of Czech Art Nouveau architecture were Osvald Polívka, who designed the Municipal House in Prague, Josef Fanta, the architect of the Prague Main Railway Station, Jan Letzel, Josef Hoffmann and Jan Kotěra. Bohemia contributed an unusual style to the world's architectural heritage when Czech architects attempted to transpose the Cubism of painting and sculpture into architecture ( House of the Black Madonna). During the first years of the independent Czechoslovakia (after 1918), a specifically Czech architectural style, called Rondo-Cubism, came into existence. Together with the pre-war Czech Cubist architecture it is unparalleled elsewhere in the world. The first Czechoslovak president T. G. Masaryk invited the prominent Slovene architect Jože Plečnik to Prague, where he modernized the Castle and built some other buildings ( Church of the Most Sacred Heart of Our Lord). After World War II and the Communist coup in 1948, art in Czechoslovakia became strongly Soviet influenced. Hotel International in Prague is a brilliant example of the so-called Socialist realism, the Stalinistic art style of the 1950s. The Czechoslovak avant-garde artistic movement known as the Brussels style (named after the Brussels World's Fair Expo 58) became popular in the time of political liberalization of Czechoslovakia in the 1960s. Brutalism dominated in the 70s and 80s ( Kotva Department Store). In a strict sense, Czech literature is the literature written in the Czech language. A more liberal definition incorporates all literary works written in the Czech lands regardless of language. The literature from the area of today's Czech Republic was mostly written in Czech, but also in Latin and German or even Old Church Slavonic. Thus Franz Kafka, who—while bilingual in Czech and German  —wrote his works ( The Trial, The Castle) in German, during the era of Austrian rule, can represent the Czech, German or Austrian literature depending on the point of view. In the second half of the 13th century, the royal court in Prague became one of the centers of the German Minnesang and courtly literature ( Reinmar von Zweter, Heinrich von Freiberg, Ulrich von Etzenbach, Wenceslaus II of Bohemia). The most famous Czech medieval German-language work is the Ploughman of Bohemia ( Der Ackermann aus Böhmen), written around 1401 by Johannes von Tepl. 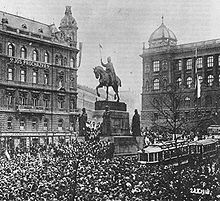 The heyday of Czech German-language literature can be seen in the first half of the 20th century, which is represented by the well-known names of Franz Kafka, Max Brod, Franz Werfel, Rainer Maria Rilke, Karl Kraus, Egon Erwin Kisch, and others. Bible translations played an important role in the development of Czech literature and the standard Czech language. The oldest Czech translation of the Psalms originated in the late 13th century and the first complete Czech translation of the Bible was finished around 1360. The first complete printed Czech Bible was published in 1488 ( Prague Bible). The first complete Czech Bible translation from the original languages was published between 1579 and 1593 and is known as the Bible of Kralice. The Codex Gigas from the 12th century is the largest extant medieval manuscript in the world. 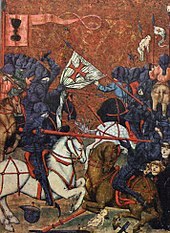 Czech-language literature can be divided into several periods: the Middle Ages ( Chronicle of Dalimil); the Hussite period ( Tomáš Štítný ze Štítného, Jan Hus, Petr Chelčický); the Renaissance humanism ( Henry the Younger of Poděbrady, Luke of Prague, Wenceslaus Hajek, Jan Blahoslav, Daniel Adam z Veleslavína); the Baroque period ( John Amos Comenius, Adam Václav Michna z Otradovic, Bedřich Bridel, Jan František Beckovský); the Enlightenment and Czech reawakening in the first half of the 19th century ( Václav Matěj Kramerius, Karel Hynek Mácha, Karel Jaromír Erben, Karel Havlíček Borovský, Božena Němcová, Ján Kollár, Josef Kajetán Tyl), modern literature in second half of the 19th century ( Jan Neruda, Alois Jirásek, Viktor Dyk, Jaroslav Vrchlický, Julius Zeyer, Svatopluk Čech); the avant-garde of the interwar period ( Karel Čapek, Jaroslav Hašek, Vítězslav Nezval, Jaroslav Seifert, Jiří Wolker, Vladimír Holan); the years under Communism and the Prague Spring ( Josef Škvorecký, Bohumil Hrabal, Milan Kundera, Arnošt Lustig, Václav Havel, Pavel Kohout, Ivan Klíma); and the literature of the post-Communist Czech Republic ( Ivan Martin Jirous, Michal Viewegh, Jáchym Topol, Patrik Ouředník, Kateřina Tučková). Czech music can be considered to have been beneficial in both the European and worldwide context, several times co-determined or even determined a newly arriving era in musical art,  above all of Classical era, as well as by original attitudes in Baroque, Romantic and modern classical music. 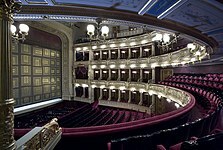 The most famous Czech musical works are Smetana's The Bartered Bride and Má vlast, Dvořák's New World Symphony, Rusalka and Slavonic Dances or Janáček's Sinfonietta and operas, above all Jenůfa. The most famous Czech drama is Karel Čapek's play R.U.R., which introduced the word " robot". After the repressive period of Nazi occupation and early communist official dramaturgy of socialist realism in movies at the turn of the 1940s and 1950s with a few exceptions such as Krakatit by Otakar Vávra or Men without wings by František Čáp (awarded by Palme d'Or of the Cannes Film Festival in 1946), a new era of the Czech film began with outstanding animated films by important filmmakers such as Karel Zeman, a pioneer with special effects (culminating in successful films such as artistically exceptional Vynález zkázy ("A Deadly Invention"), performed in anglophone countries under the name "The Fabulous World of Jules Verne" from 1958, which combined acted drama with animation, and Jiří Trnka, the founder of the modern puppet film. This began a strong tradition of animated films ( Zdeněk Miler's Mole etc.). Another Czech cultural phenomenon came into being at the end of the 1950s. This project called Laterna magika ("The Magic Lantern"), resulting in productions that combined theater, dance and film in a poetic manner, considered the first multimedia art project in international context (mentioned also in Theatre section above). Since the Czech Republic is a democratic republic, journalists and media enjoy a great degree of freedom. There are restrictions only against writing in support of Nazism, racism or violating Czech law. The country was ranked as the 23rd most free press in the World Freedom Index by Reporters Without Borders in 2017. > American Radio Free Europe/Radio Liberty has its headquarters in Prague. The most significant sports venues are Eden Arena (e.g. 2013 UEFA Super Cup, 2015 UEFA European Under-21 Championship; home venue of SK Slavia Prague), O2 Arena ( 2015 European Athletics Indoor Championships, 2015 IIHF World Championship; home venue of HC Sparta Prague), Generali Arena (home venue of AC Sparta Prague), Masaryk Circuit (annual Czech Republic motorcycle Grand Prix), Strahov Stadium (mass games of Sokol and Spartakiades in communist era), Tipsport Arena ( 1964 World Men's Handball Championship, EuroBasket 1981, 1990 World Men's Handball Championship; home venue of ex- KHL's HC Lev Praha) and Stadion Evžena Rošického ( 1978 European Athletics Championships). ^ " Plague epidemics in Czech countries". E. Strouhal. p.49. ^ a b c "Ingenious inventions". Archived from the original on 24 March 2009. Retrieved 24 March 2009. CS1 maint: BOT: original-url status unknown ( link). Czech.cz. Retrieved 3 March 2009. ^ " Jarosław Jot-Drużycki: Poles living in Zaolzie identify themselves better with Czechs Archived 26 April 2018 at the Wayback Machine". European Foundation of Human Rights. 3 September 2014. ^ " PM Fischer visits Israel Archived 25 July 2009 at the Wayback Machine". Radio Prague. 22 July 2009. ^ "Foreigners working in the Czech Republic". Archived from the original on 3 June 2009. Retrieved 3 June 2009. CS1 maint: BOT: original-url status unknown ( link). Ministry of Foreign Affairs. July 2006. ^ Holcik, J; Koupilova, I (2000). "Primary health care in the Czech Republic: brief history and current issues". Int J Integr Care. 1: e06. doi: 10.5334/ijic.8. PMC 1534002. PMID 16902697.